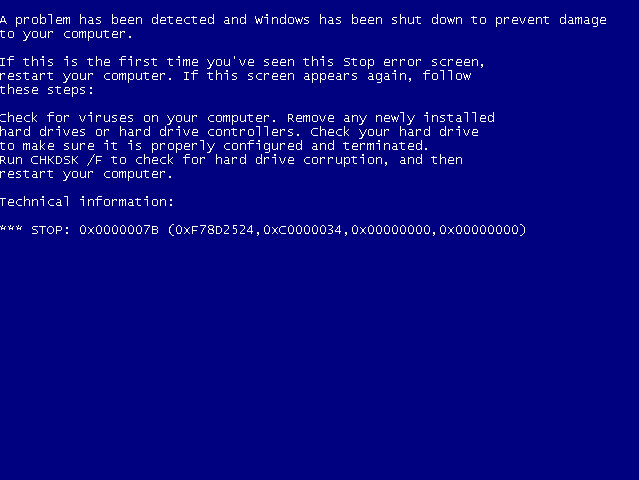 If you install Windows XP on a modern system, you may experience a blue screen error. This article will help you fix this. 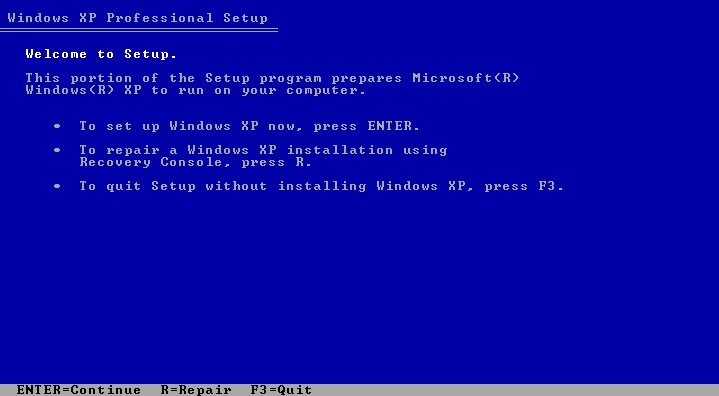 I do not have a modern computer and I have never encountered a blue screen error when booting into the Windows XP installer. When I used VirtualBox to create a new virtual machine with a version of Windows 7, then attach the ISO file of Windows XP to install, I got this error. Of course, if I create a new virtual machine with a version of Windows XP, it will work. So what’s the difference here? I noticed that VirtualBox uses Controller for Windows 7 as SATA and Windows XP as IDE. Okay, now I will change the Controller for Windows 7 to IDE, I try again and it works. Windows XP will not work if I set the controller to SCSI. From the test steps and the information I have found, the cause of this error is in the Controller type. Windows XP does not support drivers so that computers can interact with devices that are attached to SATA and SCSI controller (not sure about SCSI). The simplest way is to change the Controller type in the BIOS to Compatibility or IDE. I’m not sure about the settings in the BIOS, but the AIO Boot supports installing Mass Storage drivers when installing Windows XP. This means that the Windows XP installer will be able to interact with the USB and hard disk via the SATA/RAID/SCSI port. 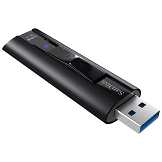 If you plug in USB 3.0, plug it into port 2.0. AIO Boot uses the Windows XP installation method from WinSetupFromUSB. And the DPMS tool is extracted from Easy2Boot. DPMS contains and supports automatic installation of Mass Storage drivers before installing Windows. You can read more about DPMS at the author’s website. Download DPMS.ISO and copy the file to /AIO/Tools/DPMS. Then defrag the file to make sure it can be used by Grub4dos. From the Grub2 main menu, press r to access the Windows XP/2003 Setup menu. You will see a menu to enable the option “Auto-detect and use F6 SATA/RAID/SCSI Driver“, or use plus Firadisk. If you disable this option, drivers will not be installed. If your ISO file is integrated with the Mass Storage driver, you should disable this option. This option will be remembered for future uses. After enabling this option, you can boot into the Windows XP installation. Now the blue screen error is gone when using SATA ports. If you are still experiencing a blue screen error, your system may be too new while the driver is not up to date to support it. Please contact me, then I will update the driver or contact the author of Easy2Boot.